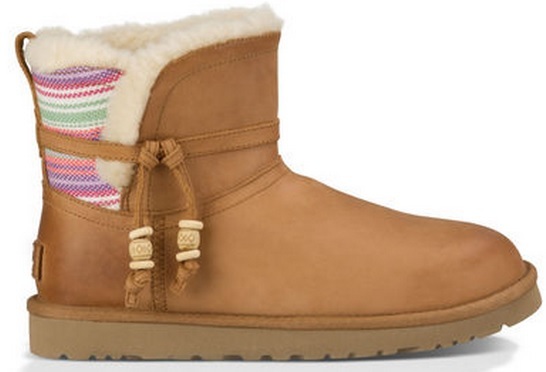 Women's Auburn Serape (MODEL: 101026) Wood beads and their serape print lend Southwestern style to this cozy boot. Perfect for weekend adventures, the Auburn Serape keeps feet comfortable with a natural wool interior and lightweight, flexible outsole. A new kind of footwear stripe to explore. 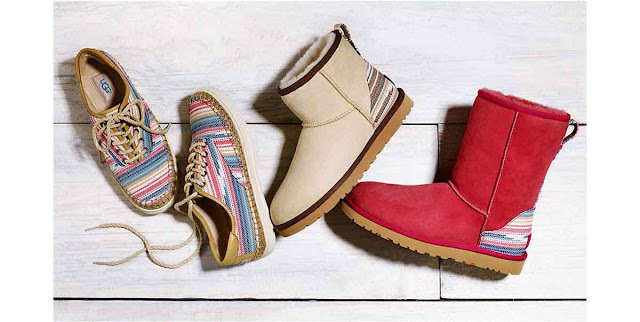 Learn more about these stripes at Ugg Australia.